Who you are designing for? To get started, let us know who you are shopping for. Are the shorts for a grown-up or a grommet? Please select a style to start your design. Please select Dunstan Designs or Custom. Please complete all the fabric selections. All boxes below your design need to be green. Green means "GO!" Please tell us what type of closure you would like. 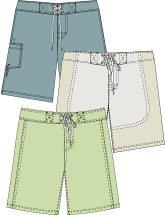 Please tell us the little details that make your shorts perfect. Please provide all the measurements. Please enter a waist size between 33 cm and 137 cm and height between 107cm and 213 cm. Please Enter valid height and waist values. Please enter a waist size between 13 in and 54 in and height between 3ft 8 in and 7 ft. Please enter a waist size between 13 in and 54 in. Please enter a waist size between 33 cm and 137 cm. Please enter a height between 3 ft 8 in and 7 ft. Please enter a height between 107 cm and 213 cm. Please select measurement unit type. Please select measurement type and length. Are you sure you want to delete these shorts? 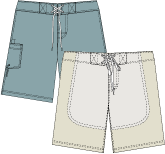 Are you sure you want to make a copy of these shorts? One or more fabrics are no longer available. Would you like to redesign? Please enter values less then 70. Please enter values less then 300. Please do not use special characters. Please enter length between 1 and 70. Minimum Amount for gift card is $85. Please enter valid redeem code. Entered redeem code has already used. Hey there, we are working to enhance your Dunstan Surfwear experience and changing payment gateways. So, for now, we are only accepting PayPal as payment for the worlds most comfortable boardshorts. Please email PayPal@dunstansurfwear.com and we will take care of you from there. Your shorts are ready to go, but why not share the love? Take 20% off a second pair and 30% off a third! Details about Dunstan packs in your cart. Did you know you can take 20% off a second pair and 30% off a third? Get a second pair for yourself or for someone else and enjoy a little island love. = 20% off on 2nd Short. = Plus 30% off on 3rd Short. Discount is applied to the lowest price pair, they are shipped to same address and must be purchased simultaneously. Dunstan Packs not available for Gift Card purchases. Don't worry - we'll email you a link to a page where you can reset your password.